Contractors working on residential construction projects may be more likely to take risks or cut corners when it comes to following established safety protocols. Despite working from more remote locations, residential construction workers are still exposed to many of the same dangers found at commercial or industrial construction settings. 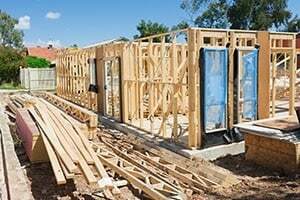 However, the risks inherent in any form of construction work are often ignored or 'dumbed down' due to a false sense of security when working on a home construction project. It is the responsibility of employers not only to make sure that workers are following safety protocol that has been established by OSHA, but also to provide for employees in the event that they are injured while on duty regardless of fault. Residential construction sites exist out in the open where weather, uneven surfaces and building designs can all be the cause of hazardous conditions. Less residential construction workers wear harnesses, for example, even though sloped roofs make it more likely that they will fall from heights capable of causing severe injuries. The common causes of residential construction accidents include the following. Slips, trips and falls— most construction injuries fall into this category Residential construction sites are often littered with more materials or objects that workers could trip over, weather conditions can make surfaces slicker than workers may be accustomed to when working indoors and working on uneven surfaces and roofs present a fall hazard. Improvised equipment— construction workers may improvise while performing their duties and create their own platforms or equipment to circumvent safety protocol if they believe they can get the job done more quickly. This can come at the cost of their personal well being when the improvisations prove to be the cause of an accident. Scaffolding and roofs— the scaffolding that is used on a residential construction may not always be secure or workers may fall from it without the protection of a harness. Roofs are equally as hazardous and many workers don’t respect the danger that is involved in working on a sloped and uneven surface. Lack of Personal Protection Equipment (PPE)— the use of protection equipment and safety devices is mandated by OSHA but some believe that these standards do not go far enough to protect workers. To exacerbate things further, many contractors and workers flatly ignore the standards that are in place and put themselves and others in harm’s way in order to reduce costs or complete their projects in a more timely fashion. Lack of safety net— in the absence of harnesses, a safety net is an alternative that can easily save lives or prevent serious injuries when workers fall from heights higher than six feet. Many construction sites lack the use of either implement, however. What to Do Following a Construction Accident at a Residential Project? If you have been injured while you were on the job, it is important that you report your injury immediately and seek medical attention right away. Keep careful records of the care you receive and make sure that you visit the doctors or facilities that your employer has chosen in order to remain eligible for worker’s compensation. It is important also to obtain legal representation so that you can initiate a thorough investigation that will establish the cause of your accident as well as who is at fault. Your employer is required to provide worker’s compensation benefits regardless of who is at fault for your injuries but if negligence is proven, you may be entitled to additional compensation. The Rosenfeld Injury Lawyers LLC are a leading personal injury law firm and our team of construction accident attorneys can help you evaluate your legal options, let you know what benefits you are entitled to and help you pursue the maximum recovery possible under law. Contact us today to schedule a free consultation with an attorney so that we may gather the details of your case and answer all of the questions you have about your rights, the value of your case and what you could expect from the legal process if you choose to pursue a lawsuit. If we are unable to assist you in collecting compensation, our time and services will be free.